To the original OP about alternate picking. Many have posted here. And come up with real valid suggestions. I had some problems too, way back, but found out that I must play relaxed, and not tense up anything, shoulders, wrists and so on. Some guitarists SLANT their pick while "shredding" on acoustic, like shown in those "Cracking the Code" videos by Latin guitar virtuoso Jorge Strunz who still plays as as fast as Al Di Meola back in the day. My problem, was that I usually used an Eric Johnson pick technique and dug in with the pick. And lifted it up from string. Gave a clean attack but couldn't make it past 120 BPM. I e 4 notes to the tick at 120 bpm. But I adressed that some picks, the hard pointy ones got stuck when velocity increased, so I actually got better flow with small Jim Dunlop Jazz II the red ones. If you play something else, it is important that it isn't as sharp as pointy. Some picks I can't play fast at all with. The black Jazz III picks are getting stuck, and you "stumble" over the strings. There are even Eric Johnson signature ones, but that's a bit overkill. They're great though since they have this wedge like the original Dunlop has. Gives you a "chd" pick attack for expressing it onomatepoetically (!). Now the apex alternate picking song, of which I practiced for ages, is the old Dixie Dregs "country-rock-fusion" song called "The Bash". I recorded the chorus vamp to a country "train" drum beat, (in a software called BandInABox) and started at 100 BPM. Then I learned the pattern, lick by heart, and started to play. It must be played alternate picking since it jumps strings and plays now and then only one note on one string, before you have to be quick back and move your pick OVER the string back to the adjacent string. Now at this pace, my picking hand was relaxed. Note, I do not hold the pick like Steve Morse (Dregs guitarist) does with two fingers, and look at today what the awkward pick technique has done some damage to him. He uses wrist support today. I hold it the "regular" way between thumb and index finger. Now, when I repeated it for 5 minutes playing cleanly, with clean sound, not a hint of overdrive, I raised the tempo to 105 BPM, and carried on for 5 minutes. Now, there's a harmony lick in there (played on guitar while violin stick to the first line) which are harder to execute up the neck, so you are varying the lick/Melody somewhat. I go back and forth with that one. Now when the pace gets hot, after 20-30 minutes at 130 BPM, I felt that I tensed my picking hand up, with the thumb and index finger holding the pick. THEN I just backed off the tempo to 120-125 and it was relaxed again. I carried on there for some more minutes, and then gradually increased BPM towards 130. Whenever I hit the ceiling, and stumbled or played pffft notes I backed off a bit again, towards 128 BPM. Now, if I couldn't go further, I stopped playing and call it a day. Or I played other stuff that I can pull off without sweating. Now, the next day, that ceiling had automatically disappeared and I could go past 130 BPM without a sweat and play relaxed. The fretting hand was never a problem. Now these days, I have to practice it up, and I start with that sequence each day on 100 BPM, still, even if I can pull it off faster. Now working up, within one hour I've reached 160 BPM without sweating or cramping up, and I can play other things and improvised over it. The important thing with alternate is that you can do ACCENTS way better, and cross strings, and do arpeggios. The main drawback, that the "practice song" with its major key parts may wear on you big time, but I feel it's much more rewarding than a metronome click. I finally made it to the original tempo of that song at 170 BPM, and 180 BPM but with a distorted setting where you could get away with murder... relaxed. The picks of which I have done the fastest /170-180 BPM, are teardrop shaped stone picks ! They don't flex and they rest on a longer area on the side of the index finger. I do think that harder, stiffer picks, as well as THICKER will get you there sooner. If they flex when crossing strings (say using Sharkfin picks of the red or green kind) you will NEVER get there. I use flatpicking exclusively but the pick slants itself anyway due to the wrists position. I like to hit the strings with the pick slanted (on the side) sometimes, because it gives a certain sound, but it DO slows you down quite considerably. One last thing too, when I got in the 170-180 BPM range, I didn't impress myself at all. I didn't find any relief of sigh that I have reached there, or "high-fived" with myself inside, and thought "yeah, I nailed it". It so woodshedding, honing it, and boring so you don't really care in the end. But others went ballistic over it. But as fast as I started play other licks, and came up with my own improvisations, one tends to soar like an eagle over the fretboard...still relaxed! usually because you are "trying" too hard, and are mentally and physically locked up. the key is relaxed practice, and steady comfortable progress. Best post in this thread so far. Word! +1. 1. Can you make the pick flex up and down WITH YOUR OTHER HAND? Now, take a chance and make it move, with the other hand. It does so, because the skin of your fingers is soft, so the pick naturally moves like it rests on some kind of cushion. 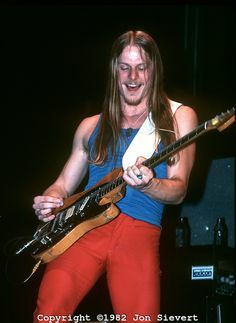 Now, hold the pick the "Steve Morse" way with thumb and TWO fingers. I've come back to this thread today to go over some of those links people had posted up and I notice that there were many more replies after I'd stopped checking back, so many thanks - btw that video of Molly Tuttle is insane, I cannot for the life of me understand how she can pick so cleanly and accurately with her hand so far away from the strings and the pick gripped in that way, what a player. I'd also like to thank Honch for that long detailed reply a lot of that resonates with me and again, that video of Steve Morse playing 'The Bash' is insane - so often people think all the technical picking wizardry is with the rock shredders but some of those country style licks are just as hard, if not harder. I'm still trying to hold the pic this way, It does sound better but I can't play fast that way so I keep on trying but revert to my 'fingertip grip' when playing fast. Antyhing involving Albert Lee and a guitar is amazing. Just sayin’. Hellecasters? Nice finding, thanks for mentioning. I've been practicing my picado a lot this year, and I (re)discovered an important factor.. in order to play something you have to be able to think of it! It sounds obvious, but playing "together" with Paco I find that the hardest thing of fast passages is not the physical, but simply to be able to keep up with each individual note or nuance. With "think" I mean both the notes but also the physical feel of your fingers and hand moving - pretty much like you can imagine and "feel" yourself, say, walking - while in reality you are still. The small pressures against the strings, the differences between the force in each stroke, the string jumps, how the high E requires more force than the other strings etc. Another way to do it is to see if you can sing or whistle it.. if you can't - at the speed you want to play - you won't be able to play it no matter the pick or fingers position. I remember well it was the same for picking: once I could think of a phrase, actually playing it became very easy. Exploring in that direction, I started listening to the music I wanted to play much more, to sort of "get it" mentally.. once I could capture (and sing or whistle) all the nuances, playing it became a matter of a couple days of practice. New musical idea then become an extension of what you know - once you can think notes at a certain speed, you can think new notes at that speed..
Once I started writing my own things rather than copying music I liked, I stopped doing the mental thing consciously, and pretty much forgot about it. But when a couple years ago I decided I wanted to play picado runs (fast, faster, very fast! ), something I'd never done much before, I struggled for a long while, until I re-found that idea and started listening to what Paco is doing. If I cant hear it, sure bet I can't play it. So just a different angle here: take a piece you love, and know it inside out in your head, it may help your technique immensely. rather taken with Will's shortened pinky finger slide tricks. Indeed it is, very sad. I never got to see the Helecasters but John Jorgenson is a good pal of Andy MacKenzie, who, in turn, is a good mate of mine so I have met JJ a few times. I saw his electric band in Buxton a few years ago and his Bluegrass band more recently. They were/are all awesome players but JJ seems to be able to do it all himself if required. He is also a brilliant Gypsy Jazz guitarist and, as you say, an extremely nice guy.